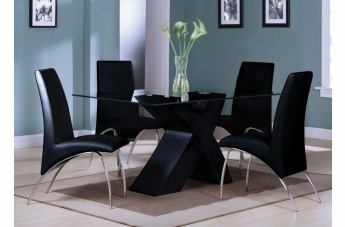 This splendid Pervis Collection by ACME Furniture has its fancy style that served as an inspiration to redesign our home dining room ideas. 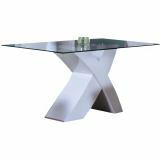 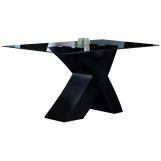 This exquisite table features 10mm clear black glass top with beveled edges and high gloss table stand while the modern-contemporay side chairs feature the leather like black seat cushion and the chair stand finished in chrome. 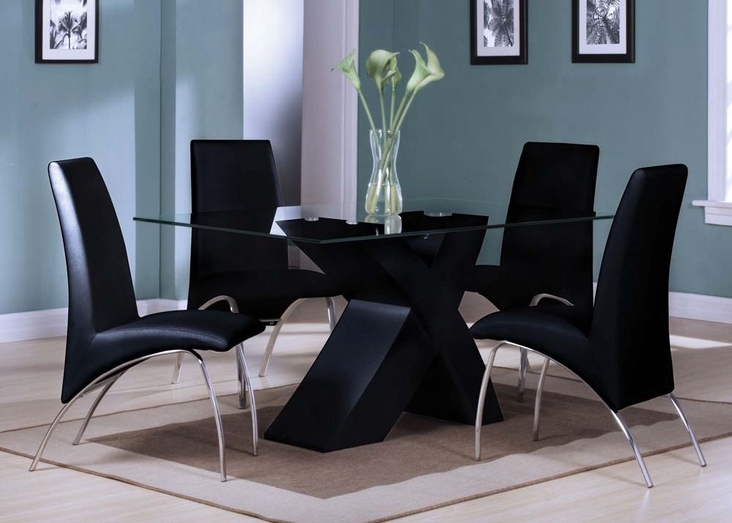 The amazing table base shape is one of the inspiring ideas, an excellent placement and right decor makeing this dining room set an interesting design. 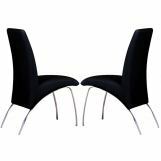 Chairs sold in sets of 2.